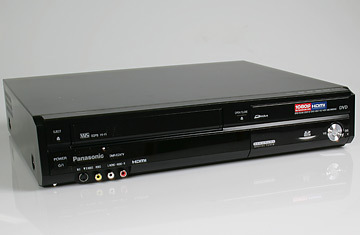 The Panasonic DMR-EZ47V ($330) plays and records to both DVD and VHS. It also copies footage from one format to the other, so you can finally digitize your old tapes. The unit converts video for an HDTV display over its HDMI connection, but for true high def, you'll need a Blu-Ray or an HD-DVD player. Which one? Depends on the movies you want to watchthe movie studios are split. Sigh.